A review of our documentary wedding photography from 2015, it was an absolutely fantastic year with some really amazing weddings and lots of fabulous couples. “Smiling for someone is sweet but making someone smile is the best feeling”… Happy New Year Wedding Memories of Moments 2015 from JasStudio Photography on Vimeo. The year ends, a new one begins. More lovers will be united with new chapters to be chronicled. We look forward to sharing your treasured moments with you in 2015.Wish everyone a very happy, healthy and prosperous 2015! 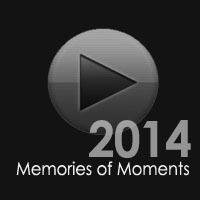 Wedding Memories of Moments 2014 from JasStudio Photography on Vimeo. Flashback the moments of joy, tears, laughter… with an image your story can last a lifetime… if you like this montage, you might leave a comment, ‘Like it’, share with others on your wall. Stay happy and good health always for you and your close ones! And have a great and exciting year ahead! !